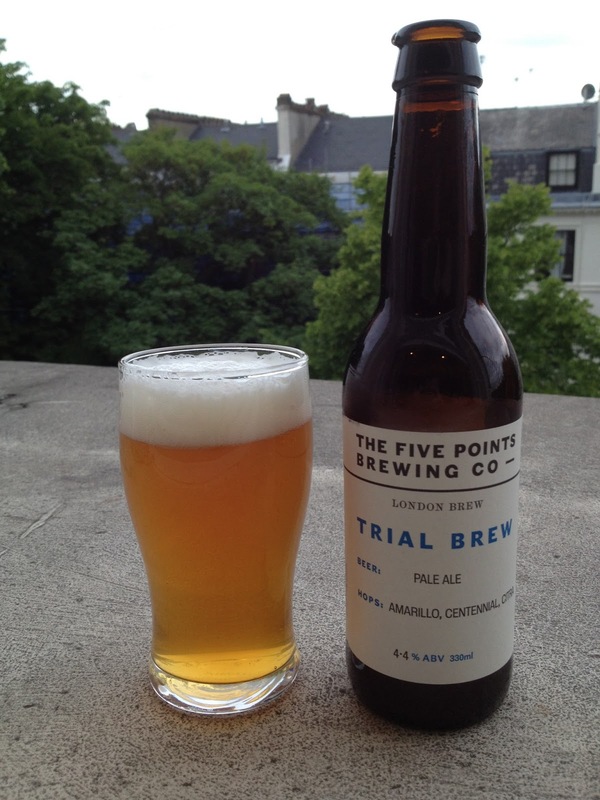 My most recent trip to Kris Wines yielded a good range of London beers, including one from new Hackney-based brewery The Five Points. I've now had several beers from this brewery and they've all been quite good; this one, though, was the first I've had out of the bottle. The beer pours clearish, bright gold with a surprisingly staunch, pillowy white head. The aroma holds some inviting grapefruit notes, dried lemon peel, a bit of dry and biscuity pale malts. The flavor is clean, moderately sweet with some flinty minerals, bitter citrus rind, stones, sand, hay. Light bodied with fine to average carbonation. Clean and quite dry to finish, with some further grapefruit and lemon rind, a bit of grass and hay, minerals. A pretty good effort overall. If the minerality was toned down a bit and the grassy bitterness just a notch lower, the beer would be a stunner.